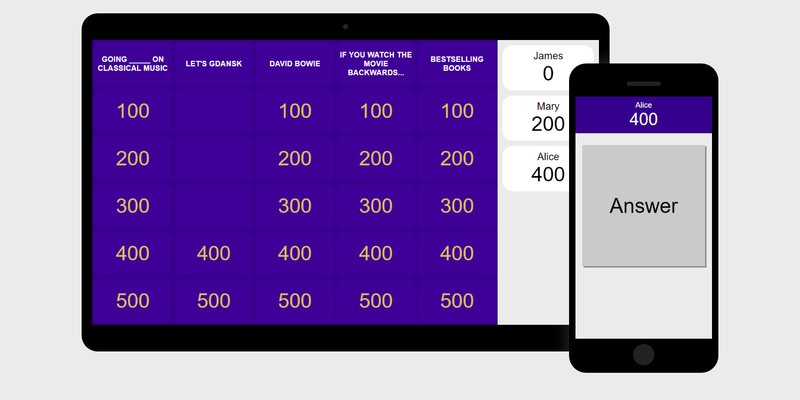 This app recreates the popular TV trivia game at home using a web interface and standard home wireless network. Players can log in and answer using their phones, while a host reveals questions and scores answers from the host page. The game board is projected to a TV or shared screen where players can follow along. To start the game, the host simply picks from a set of categories and specifies the number of players. Categories and clues are loaded from j-archive.com, which archives real clues used during gameplay on the TV show.